The homeowners, parents who relocated from the South End with a young toddler, were excited to embrace suburban living in their new downtown Hingham home. 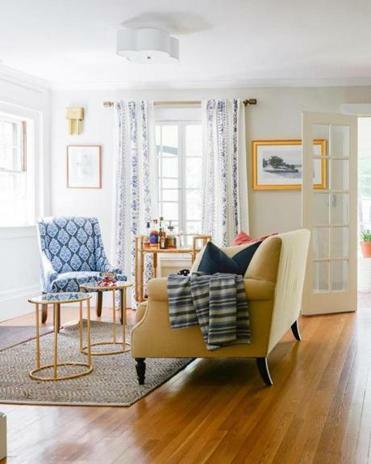 To make the bungalow’s long living room feel cohesive and comfortable for the family, they brought interior designer Beth Bourque on board. Bourque, who runs Milton-based Beth Bourque Design Studio, created two seating areas in the light-filled room. She recommended relocating French doors accessing the sun porch to allow more options for furniture arrangement. 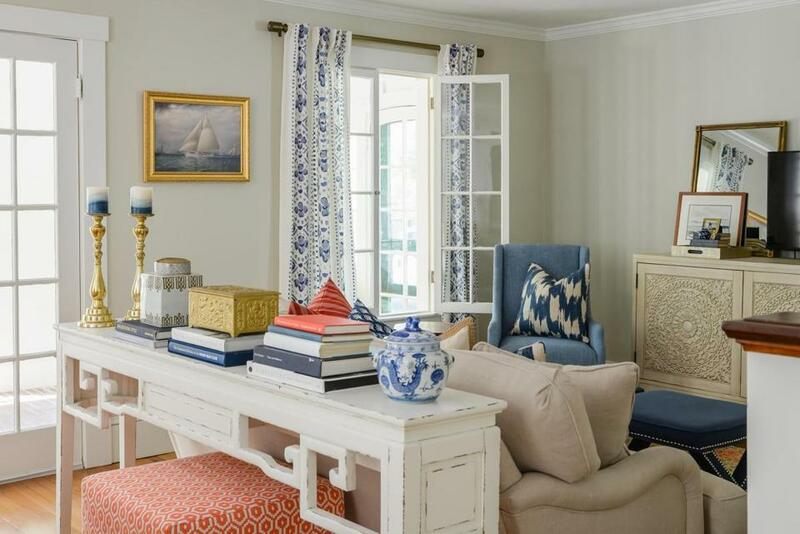 “The homeowners wanted the room to have a beachy, nautical theme,” says Bourque, who had the walls painted “Repose Grey” by Sherwin Williams and infused the space with pops of navy blue and salmon. 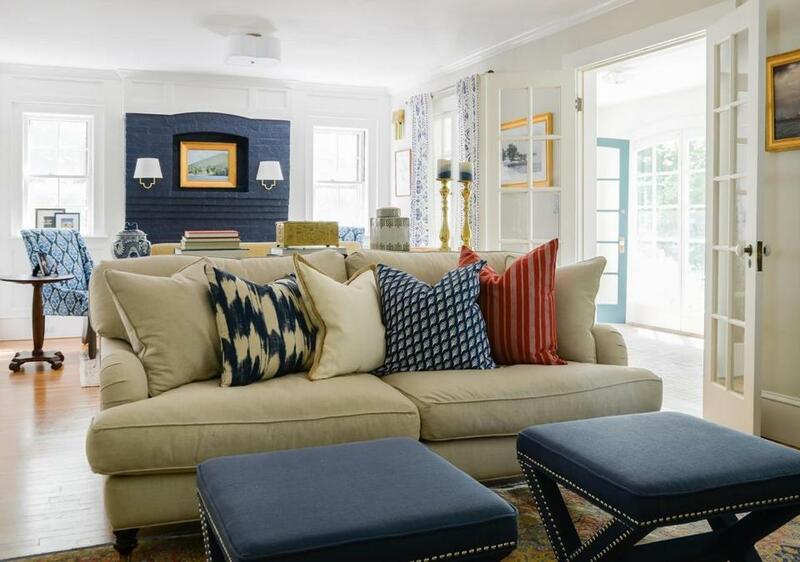 Furnishings came from a variety of retailers, and Bourque was able to incorporate several of the homeowner’s existing items into the scheme. The room now has an airy, lively vibe with a laid-back appeal that suits the young family. An off-white carved media cabinet is from Horchow and a white lacquer table behind the sofa is by Kathy Kuo Home. Nestled underneath is a cube upholstered in an orange and white geometric pattern that offers extra seating in a pinch.